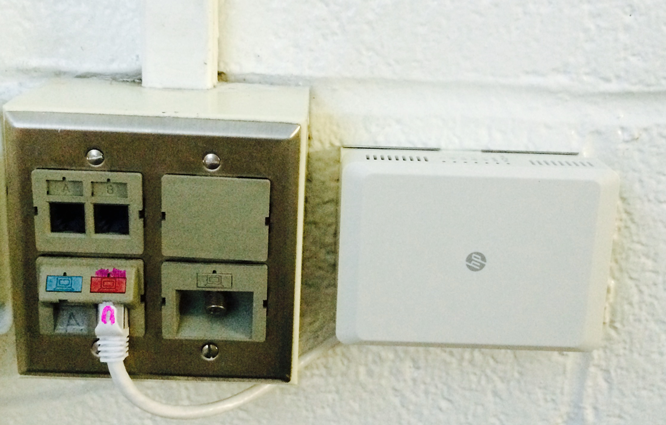 New network devices to be installed in all resident rooms of Jasper Hall and Overlook Manor. Students arriving to their dorm rooms will notice a new addition in the form of a JasperNet WIFI network device (shown to the right). Each dorm room will be provided with the device to provide enhanced 802.11n WIFI connectivity to the room as well as additional wired network ports. Jasper Hall has already received over 130 of these devices (1 per room) and work is already underway in Overlook Manor to install another 100.